Baoblaze 18W RGB LED Light Fountain Pool Pond Spotlight Underwater Waterproof - Blue | Fountain City Art Ctr. 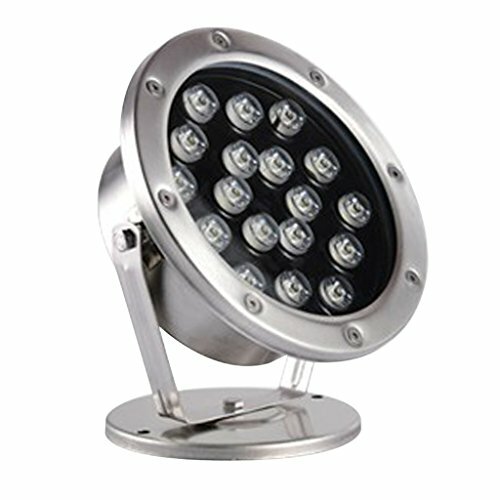 - 18W LED Light Source: Energy saving, environmental friendly, easy control and no ultraviolet. - Each light comes with 18 LED bulbs. WARNING: Need to use with the transformer, DON'T DIRECTLY CONNECT HIGH VOLTAGE! Thanks for your browsing and understanding! 18W LED Light Source: Energy saving, environmental friendly, easy control and no ultraviolet. Each light comes with 18 LED bulbs.